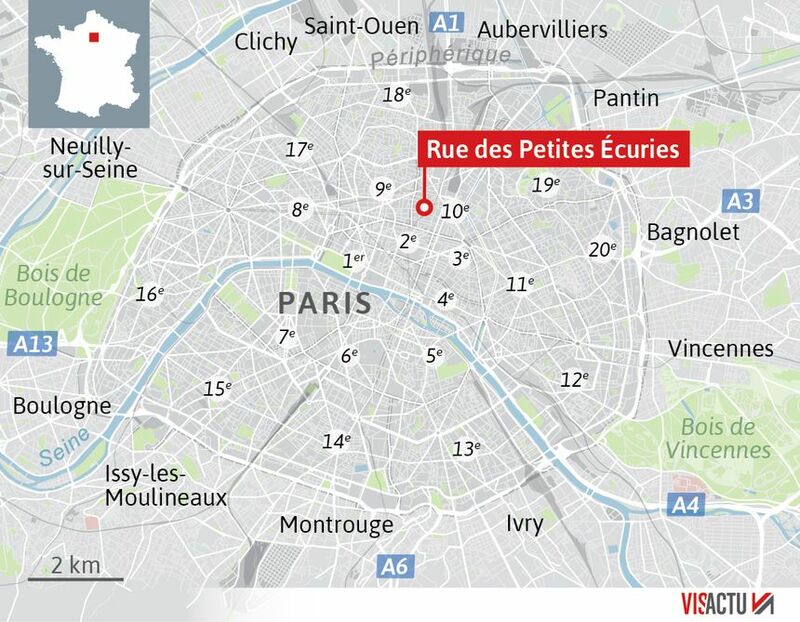 There are reports surfacing of a hostage situation in Paris, France at the Rue Des Petites Ecuries in the 10th Arrondissement. The tweet included below provides an idea of the location. Witnesses state that there are currently two people being kept against their will. Onlookers report seeing a man with “a handgun and a bomb,” and police decked out in body armor are currently present on scene and are currently assessing the situation. Media reports suggest that the hostages are currently being held at an advertising agency’s office near Gare du Nord Eurostar station. An elite police squad is now present at the Rue Des Petites Ecuries in response to reports of an “unstable person.” Thus far, authorities have refused to confirm witness reports and have given no indication of whether or not he was currently armed. One of the hostages is said to be a pregnant woman, but there are currently few details as to the identity of the other victim. Security forces at the scene report that the suspect reponsible for the hostage situation was demanding to speak to the Iranian Embassy and French Government. A bystander was injured as the hostage-taker attacked him with a wrench while moving towards the agency where he is currently keeping the hostages. The authorities state that the motivation for the hostage situation doesn’t appear to be terrorism related. As for the exact reasoning behind this tragic event, it appears to be a dire situation requiring the attention of both Iranian officials and the French government. New media reports claim that the two hostages are still alive but that one is seriously injured. The hostage-taker has also stated that he has an “armed accomplice” outside of the agency, which has police on high alert. An ambulance and bomb squad are now present on scene, which adds credence to the suggestion that a bomb may be involved in this hostage situation. Despite the presence of these elite units and specialists, the authorities have generally not released much information as to the details of the attacker and whether, and to what extent, the hostage-taker is armed. Social media is alight with speculation and rumors, but concrete information is hard to come by as the hostage situation continues to be evaluated. With the police currently assessing the situation themselves, it’s unlikely that significant amounts of information regarding the Rue Des Petites Ecuries hostage situation will be revealed as to avoid panic or incorrect speculation.